While athletes from around the world were tossing javelins and sprinting to finish lines last month during the 2012 Summer Olympics in London, visitors from all corners of the globe were also congregating at a coliseum of a different sort just around the corner. Built just adjacent to the newly constructed Olympic Park, the Westfield Stratford City mall represents a revolution in London’s quaint shopping experience. Long a home to small, independent retailers and eclectic shopping districts, the Westfield Stratford City is the United Kingdom’s first true mega-mall. Since its opening in September 2011, shoppers have flocked to visit the nearly 300 retailers who have set up shop in the mall, a group that includes high-end brands such as Apple and Prada. The property even has a MINI “pop-up” store where car buyers can build their own custom-designed automobile and purchase new MINI gear to go with it. "Our business strategy is to develop iconic, world-class centers in major world markets." The Westfield Stratford City is one example of the kinds of projects that Peter Lowy, co-CEO of Australia-based mall company Westfield Group (ASX: WDC), has in mind when he talks about building sites that energize shopping markets. With more than 100 properties in a portfolio that spans five different countries and four continents, Westfield has taken that mindset abroad. Lowy took time out to talk with REIT about the complexities of running a global company and the importance of enthusiastic shoppers, among other subjects. REIT: Westfield’s business model has been described by some as “more is more.” Do you think that’s accurate? REIT: Westfield has an expansive portfolio not only in terms of the number of properties owned, but in terms of geographical scope as well. Does that make it hard to craft a coherent, unified vision for the company as a whole? Professional Activities : Chairman of the Executive Committee of the Homeland Security Advisory Council for Los Angeles County; serves on the RAND Corporation Executive Committee and Board of Trustees; member of the Executive Committee of the Washington Institute for Near East Policy; member of the NAREIT Board of Governors; director with the Lowy Institute for International Policy. REIT: What are the keys to managing properties in such a diverse collection of markets? Lowy: In terms of managing a global business, we believe it is very important to create localized expertise on the ground in each of our markets, utilizing and deploying the global knowledge we have as a global corporation (i.e. moving executives between various markets, sharing best practices and knowledge from other development projects, etc.). The way we have structured our business is to essentially have a global head office and local/regional head offices in each of our markets. REIT: Have you looked at expanding into other regions? Along the lines of what you’re doing in Brazil, are there any developing markets that you consider particularly attractive? Lowy: We have looked at many opportunities from time to time in our existing markets as well as in potential new markets. Last year, we announced our entry into Brazil and our entry into a major retail development site in Milan. We will continue to assess new opportunities globally as well as continue to reinvest in our existing portfolio through our A$11 billion future development/redevelopment pipeline. REIT: The Westfield Stratford City mall in London, which is situated essentially next door to Olympic Park, site of the 2012 Summer Olympics events, is one of the more ambitious retail projects to come online in recent memory. It represents something of a departure from the traditional shopping experience in the United Kingdom. What made a development of this scale an appealing proposition for Westfield? Lowy: Stratford City followed on from our success in developing and operating Westfield London on the west side of the city. Our business strategy is to develop iconic, world-class centers in major world markets, as we believe that these sorts of retail assets create substantial franchise value, trade strongly for the retailers occupying space, are appealing to the consumer and are better placed competitively. We saw a major opportunity to develop this style of iconic mall space in London, particularly at Westfield London. With the major investment the U.K. government has made in infrastructure on the east side of the city, together with the relative undersupply of quality retail space there, we saw Stratford as also providing a key opportunity for an iconic mall in Westfield Stratford City. REIT: One of the major disruptions in the retail business has been the rise of e-commerce and online retailing? 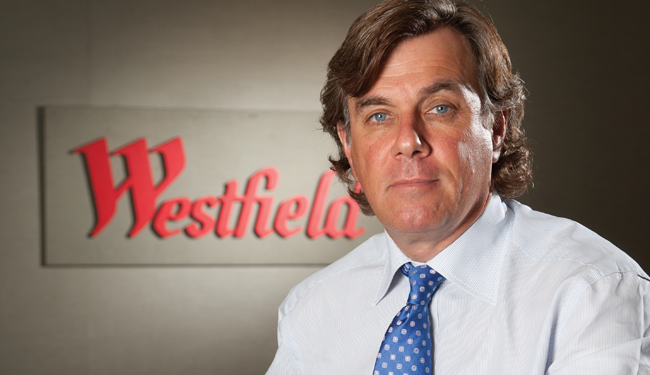 How has this impacted Westfield’s strategy and operations? Lowy: Our business has faced a number of external competitive threats and pressures over the five decades we have been in this business. Our focus has been to create major retail shopping destinations with strong franchise characteristics and, in particular, retail space that is highly productive for our retail customers. We see e-commerce as both a challenge and an opportunity. We continue to focus on strengthening the franchise of our physical assets through our investment in better quality assets with high retailer productivity and the investment in the redevelopment of our portfolio. We are also involved in the e-commerce space in terms of leveraging the technology to drive consumers to our malls, improve the consumer experience and deliver efficiencies to our retailers. In addition, we are focused on developing strategies that will allow us to participate in online retail in addition to our bricks-and-mortar retail presence. While e-commerce is no doubt a competitive force in today’s retail landscape, the technology has also created opportunities for malls and retailers to build stronger relationships with consumers. REIT: If you could sum up the Westfield customer experience in one word, what would it be (and why)? Lowy: Excitement. We are creating environments where the consumer wants to spend time – be it shopping time, leisure time, social time, etc. In order to do so, the consumer needs to be excited to be in our malls.